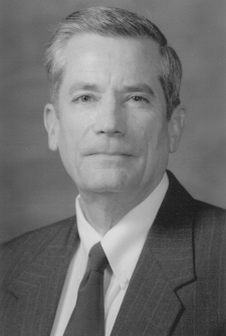 John Donnell received his Bachelor of Arts degree from Southwest Baptist University in Health, Physical Education in 1971 and completed his Masters of Science in Athletic Training at Central Missouri State University in 1977. He became a Certified Athletic Trainer in 1982 and was licensed in the state of Missouri in 1985. John’s athletic training career began in 1978 covering various camps and sporting events at many levels while working as a high school instructor and coach. In 1986, he became an athletic trainer/instructor with Blue Springs High School, before accepting an athletic trainer/instructor position at Lee’s Summit High school in 1987. In 2004, John retired from Lee’s Summit, but that didn’t end his athletic training career. He went on to become an athletic trainer/instructor for William Jewell College until 2009, and is currently the Athletic Trainer for Raytown High School. John has always been extremely involved and has covered many events including U.S. Men’s Olympic Volleyball and Wrestling, National Bull Rider’s Association competitions, U.S. Olympic Training Center events, Show-Me Games, and many state events and championships. Furthermore, he has served as a preceptor for the University of Central Missouri and a site facilitator for University of Missouri Kansas City’s Family Medicine Residency Program. John was the recipient of the National Athletic Trainers’ Association Service Award in 2015, Most Distinguished Athletic Trainer Award in 2016, a national certification test examiner and proctor, and has served as a member of the NATA since 1977. In addition to being inducted into the 2003 Missouri Sports Medicine Hall of Fame, John received the Missouri Athletic Trainer Association Dr. Glen McElroy Most Distinguished Athletic Training Service Award in 2004. As an active member at all levels, John served on the NATA National Secondary School Athletic Trainer Committee and the Honors and Awards Sub-Committee. For MAATA, he was a Secondary School Athletic Trainer Committee member serving as the Chairman from 1998-2004 and was the Program Co-Chairman for the District Meeting in 1995 and 1997. 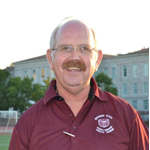 At the state level, John served as Secretary and Treasurer from 1989-1991, Hall of Fame Committee Chairman in 1989, Scholarship Committee Chairman 1990-1991, and Secondary School Athletic Trainer Committee Chairman from 1995-2002 for the Missouri State Athletic Trainers Association. John is also on the Missouri State Board of Healing Arts, 1998-present, the Missouri State High School Activities Association, 1993-present, and belongs to many other professional memberships. In addition to everything already said, John is a true mentor and advocate for the Athletic Training profession. He leads by example, exudes professionalism, helps develop and adapt best protocols-based on current evidence based practice, presents to peers and student-athletes, and above all, he has made himself approachable and available to anyone who may seek his knowledge or help. John’s contributions to the profession will be remembered by past, present, and future athletic trainers as he continues to be a true leader in the field. Steven Barrett received his Bachelor of Arts degree from Creighton University in Physical Education K-12 in 1984 and completed his Masters of Science degree from Indiana State University in Physical Education with a specialization in Athletic Training. He became a Certified Athletic Trainer following the completion of his Master’s degree in 1985. Steven’s athletic training career began in 1984 as an Athletic Trainer with West Vigo High School, before accepting the Head Athletic Trainer and Associate Professor position at Saint Joseph College in 1985. After two years at Saint Joseph, Steven served as the Head Athletic Trainer, Wellness Director, and Instructor at Garden City Community College for seven years before moving on to Sandhill Orthopeadic & Sportsmedicine in 1993, where he served as Director of Rehabilitation & Athletic Training for twenty years. Steven served as the Clinic Manager at Kansas Orthopeadic Center at Sandhill for two years, then moved to St. Catherine Hospital, where he continues to work as the Sports Medicine Supervisor. Steven is a recipient of the National Athletic Trainers’ Association Service Award and has served as a member of the NATA since 1980. In addition to being a 2011 Kansas Athletic Trainer Hall of Fame and 2010 GCCC Athletic Hall of Fame Inductee, Steven has received the 2006 Kansas Athletic Trainer of the year, Kansas State Educational Excellence Award in 1990, Outstanding Faculty Award in 1991, and NISOD Master Teacher Excellence Award in 1992. As an active member, Steven has served as President of the Kansas Athletic Trainers’ Society (KATS) and has served in many committees at the state and district levels, including MAATA Board of Directors. During his term as KATS President, he was instrumental in the legislative effort which Licensed Athletic Trainers in the State of Kansas in 2005, established two KATS scholarships, organized EMS Seminars as fundraisers to promote athletic training, and continues to work on state legislative issues. Steven is a role model to many and promotes the profession by working annually with high school students in the longest running Student Athletic Training Camp in Kansas. Stephen received his Bachelor of Science degree in History from Iowa State University in 1985 and became a Certified Athletic Trainer in 1985. Following, Stephen attended Western Illinois University where he earned a Master of Science in 1986. Stephen’s career began as an Athletic Trainer at Davenport Central High School in Davenport, Iowa, where thirty-one years later, he is still their athletic trainer. He has also served as a teacher in Health Education, Social Studies, and Sports Medicine since 1994. Prior to teaching at Davenport Central, Stephen taught at J.B. Young Junior High from 1985-1994. 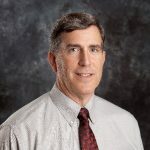 In addition to being a 2011 Iowa Athletic Training Society (IATS) Hall of Honor Inductee, Stephen has received the NATA Service Award in 2009, as well as the 2004 Iowa High School Athletic Directors Sportsmedicine Award, and 2002 Iowa High School Athletic Association Sportsmedicine Specialist Award. As an active member of State, District 5, and NATA, Stephen has contributed on many levels, including serving as past President of IATS, and organizing many events publicizing the work and qualifications of athletic trainers. He also served on the MAATA Executive Board, MAATA Vice President, MAATA Honors and Awards Chair, and was a member of the NATA Honors and Awards Committee. Above all, Stephen has been an exemplary representative of our profession and a role model to many. Jim Rudd received his Bachelor of Science degree from St. Lawrence University in Physical Education in 1973, and became a Certified Athletic Trainer the following year. He later earned his Master of Science degree from the University of North Dakota in biology. Jim’s athletic training career began in 1973 as an Assistant Athletic Trainer with the Philadelphia Eagles Football Club, before accepting the Assistant Athletic Trainer position at the University of North Dakota in 1974. After two years in Grand Forks, Jim served as the Head Athletic Trainer at Mercer County Community College for one year, moving on to Kansas State University in 1984. Jim served as the Curriculum Director at West Virginia University for one year, then moved to Valdosta State College, where he worked until the spring of 1989. His final stop brought him back to the University of North Dakota where he first served as the Program Director, then as Assistant Professor. Jim is a recipient of the National Athletic Trainers’ Association Service Award, and has served as a member of the NATA Program Director’s Council, and Chairman of the NATA Memorial Resolution Committee. At the state level, Jim was elected the inaugural President of both the Kansas Athletic Trainers’ Society, where he initiated the Licensure Committee in the state, and the New Jersey Athletic Trainers’ Society, where he was an original member of the New Jersey Licensure Committee. In addition, Jim is a member of the North Dakota Athletic Trainers’ Hall of Fame, as well as the 2008 recipient of the Legacy Award given by the North Central Conference. John Roslien received his Bachelor of Science degree from the University of Iowa and became a Certified Athletic Trainer in 1984. John earned his Master of Science degree in 1986 at Western Illinois University. John’s career began as an Associate Professor at Central College in Pella, Iowa, where he now serves as the Athletic Training Program Director and Associate Professor, twenty-nine years later. In his tenure at Central, John also held the position of Head Athletic Trainer from 1986-2003. He currently serves as the liaison to the Wales Study Abroad Program and the college representative to the National Collegiate Athletic Association. In addition to being a 2007 Iowa Athletic Training Society Hall of Honor Inductee, John has received the NATA Service Award, as well as the 2014 MAATA Award for Most Distinguished Athletic Trainer. As an active member of District 5, John has contributed on many levels, serving as the organization’s Vice President, Public Relations Chair, and Annual Meeting Exhibit Chair. Perhaps in no greater way have his contributions and influences had an impact as with his efforts and leadership as the MAATA Treasurer. John’s hard work has ever-positively changed the stability of the organization, establishing a strong financial foundation for the future. 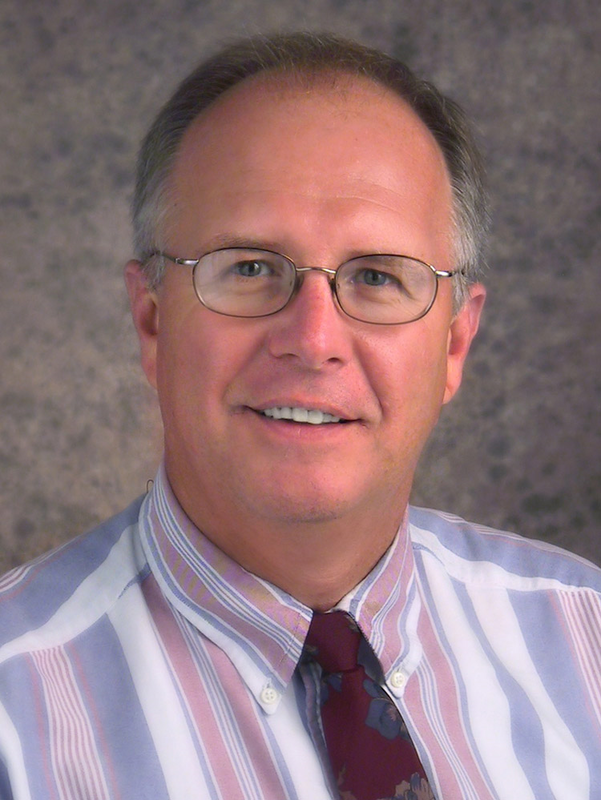 Doug Long, Ph.D., received his Bachelor of Science degree from The University of Nebraska-Kearney in 1984. Following, he earned a Master of Science degree from Fort Hays State University, becoming a Certified Athletic Trainer in 1985. Dr. Long earned his Ph.D. in Health Education and Nutrition Studies from The University of Nebraska-Lincoln in 2008. Doug began his career as the Head Athletic Trainer at Chadron State University in Chadron, Nebraska. After four years, he accepted a position with Great Plains Regional Medical Center in Platte, Neb., where he currently serves as both a Certified Athletic Trainer and Clinical Exercise Specialist. He has been a member of the NATA since 1981, and was presented with the NATA Service Award in 2014. Further, he has served as a presentation moderator five times at NATA annual meetings. At the state level, Doug has served as an active member of the Nebraska State Athletic Trainers’ Association since 1985, and has held the positions of President, Vice-President, Secretary, and Public Relations Director over a thirty-year span. 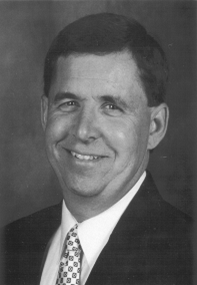 Doug was awarded the Nebraska Athletic Trainer of the Year in 2000. Since 1985, Doug has served the MAATA, including roles as the Annual Meeting Coordinator, Secretary, and most recently District President. As President, he brought greater structure to procedures, and more recognition to the membership. A snapshot of his accomplishments includes the establishment of committees to review and revise the MAATA Mission Statement, Constitution, and Bylaws, and establishing the mentorship program for younger members associated with the Athletic Training Student Leadership Committee. To date, Dr. Olson has served the profession of Athletic Training on several committees, and is currently a member of both the NATA International Committee and Board of Certification Professional Practice and Discipline Committee. Previously, she served as the Mid-America Athletic Trainers’ Association Secretary from 1996-2004 and was Chair of the District V Committee for College/University Students Athletic Trainers from 1995-2000. The Board of Certification has recognized Dr. Olson with the Paul Grace Leadership Award and Dan Libera Service Award in 2011, only after being honored as outgoing President and Athletic Training Director of the Board of Directors for the Board of Certification – Athletic Training in 2010. In 2011, the NATA honored Dr. Olson with the Most Distinguished Athletic Training Award. Dr. Gardner received his Bachelors’ degree from the University of Wyoming, his Masters’ degree from the University of Arizona and his Doctorate from the University of Southern Mississippi. His athletic training career began at Rockport-Fulton High School in Rockport, TX. He served as the Athletic Trainer and as a teacher from 1985-1988. He became the Head Athletic Trainer and Assistant Professor at Howard Payne University in 1988. In 1992 he decided to move to Hattiesburg, MS to be a graduate assistant at The University of Southern Mississippi until he was promoted to Visiting Assistant Professor in 1994. In 1995 he began his tenure at The University of Tulsa as the Program Director for the Athletic Training Education Program. Today, in 2013, he remains in Tulsa as the Associate Professor of Athletic Training and Associate Director of the School of Nursing. Greg has served the profession of Athletic Training on numerous committees and boards. His service in the area of educating future Athletic Trainers has been exceptional. He has served on the NATA Education Council from 1997-1999, Student Section Coordinator for the Oklahoma Athletic Trainers’ Association Annual Meeting (1999-2000) and Standards Interpretations Committee for the Joint Review Committee on Athletic Training in 2001. Greg has served the Commission on Accreditation of Athletic Training Education for over 10 years. Greg was a member of the JRC-AT (2002-2006) when it went through the transition to CAATE. He has been a CAATE Commissioner (2006-2011), an Accreditation Site Visitor (2006-present) and was CAATE President from 2009-2011. Greg also served as U.S. Vice President of the World Federation of Athletic Training and Therapy from 2011-2013. He has contributed to or co-authored several textbooks on Athletic Training as well as numerous publications in peer reviewed journals and has made countless presentations. The University of Tulsa has recognized Greg as an Outstanding Faculty Member in 2012, The University of Southern Mississippi has recognized him as an Outstanding Alumni in 2011 and also in 2011 the National Athletic Trainers’ Association thought enough of him to be recognized as a Most Distinguished Athletic Trainer. Greg has been married to Christi since 1982. Their family includes Staff Sergeant Michael W. Gardner, his wife Amanda and their children Jack and Emma; Corporal James H. Gardner, his wife Melissa and their son Jake; and Thomas G. Gardner. Greg and Christi are members of Broadway Baptist Church of Sand Springs, OK.
Dwight Eric McDonnell, known to his friends as Eric, grew up in the Kanas City area and moved to Columbia to earn his bachelor’s and master’s degrees from the University of Missouri. He began his employment at MU in 1982 and today remains the longest tenured athletic trainer at the University. Eric began his career working with football for 19 years, Women’s basketball for 13 years and now currently works with the volleyball and tennis. A fact of life at MU is the many athletic events the University hosts. Eric embraced extra events at MU and coordinated medical coverage of Show-Me State Games from 1984-2000. In addition to his willingness to care for many athletes from all over the State of Missouri, his service to the profession of athletic training has been something to admire. Eric has served the Missouri Athletic Trainers’ Association as Secretary/Treasurer (1993-95) and President (1997-1999) as well as Annual Meeting Chair (1988-2004). Eric found his passion when he began working with Governmental Affairs. He was Chair of the MoATA Governmental Affairs Committee from 2000-2008. Early in his tenure as Chair of GAC, he spent countless hours in Jefferson City speaking with legislators and testifying before house and senate committees attempting to change the Missouri practice act from one of registration to licensure which became a success in 2002. He was also Chair of the MAATA Governmental Affairs Committee from 2003-2008 and Chair of the NATA Governmental Affairs Committee from 2006-2011. Eric was the driving force behind the formation of the MoATA Political Action Committee and has served as its treasurer since 2004. While doing yeoman’s work in the Governmental Affairs area, Eric joined the MAATA Board of Directors as MAATA Newsletter Editor from 1997-2005, became MAATA President in 2005-2011 and District Director in 2011 and remains in that position as he is inducted into the MAATA Hall of Fame. Some of his other leadership roles include being a member of the NATA Nomenclature Workgroup, NATA Vision Quest Workgroup leader, NATA LIME TEAM, NATA Uniform Terminology Workgroup, NATA Hospital/Clinic Employment Task Force, NATA PAC Board of Directors (Chair from 2001-present), NATA Strategic Implementation Team, NATA Governance Task Force, NATA AT Services Project Team and NATA Federal Legislative Council. Eric has made a difference in our profession at the state level as well as the district and national levels. 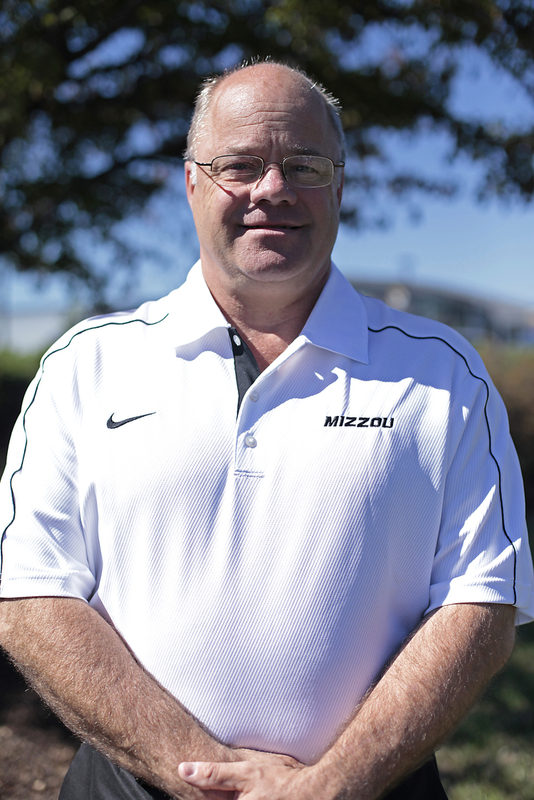 Eric has been honored by the University of Missouri by receiving the Dr. James M. Baker Award as the Outstanding Athletic Training Student in 1981 and the MU Employee of the Month in February 2009. The Missouri Athletic Trainers’ Association awarded him the Glenn L. McElroy M.D. Distinguished Service Award in 2000, named him the Athletic Trainer of the Year in 2007 and inducted him into their Sports Medicine Hall of Fame in 2003. He received the NATA Division I Assistant Athletic Trainer of the Year in 2006, the NATA Service Award in 2002 and NATA Most Distinguished Athletic Trainer Award in 2010. Eric has been married to Sabrina M. (Batterton) McDonnell since 1985 and they have 2 children, Madison (16) and Grant (12). Gary received his bachelor’s degree from Montana State University, his master’s degree from the University of Arizona as well as a Bachelor’s Degree in Physical Therapy from Florida International University. He began a lifetime of service to Southwest Missouri State University in 1978 when he was hired to become an Instructor in Physical Education and Co-Director of the Athletic Training Education Program. In 1982, Gary added the position of Director, Sports Medicine Clinic at SMSU until a name change to “Midwest Sports Medicine Center” in 1991. In 1995 he gave up the Clinic Director’s position to focus his energy on the ATEP as its Director. Throughout his career at SMSU he had many different titles and positions; however, he never left the Sports Medicine Clinic or his education of students. In 1997 Gary helped start the PT education program and served for 2 years as the assistant coordinator of clinical education. Gary has made it his mission in life to help students enter the profession of athletic training with the best possible education and experience possible. It is rumored that he retired in 2007, but he’s still teaching in the ATEP at what is now known as Missouri State University. Gary has been an active member of the Missouri Athletic Trainers’ Association, Missouri Physical Therapy Association, Mid-America Athletic Trainers’ Association and National Athletic Trainers’ Association. A founding member of MoATA in 1980, Gary has served MoATA as Chair of the Program Committee for the Annual Meeting, Chair of the College and University Athletic Training Student Committee, President-elect and President from 1988-1989. He worked tirelessly with others to lobby the Missouri State Legislature to enact the Athletic Trainer Practice Act until being successful in 1981. His service was also felt in the MPTA as the Chair of State Planning, Vice-chair of the SW District, a member of the Education Committee as well as the Nominating Committee. He worked hard to promote collaboration and collegiality between athletic training and physical therapy faculty and clinicians. Gary served the NATA, the JRC-AT, CAAHEP, and CAATE as a Curriculum Accreditation Site Visitor from 1985 until 2006. He also served many years as a BOC examiner at many sites throughout District 5. He is also a fixture at Greenwood Laboratory School athletic events and practices, volunteering his time to care for high school and junior high school student-athletes. 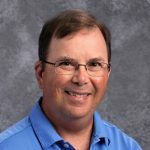 Gary has also served the Missouri State High School Activities Association as a member of their Sports Medicine Advisory Board since 1986, making him the longest serving member of that board and providing invaluable advice to MSHSAA. Gary has been a member of the NATA since 1972 and was inducted into the Missouri Sports Medicine Hall of Fame by the Missouri Athletic Trainers’ Association in 1996. He has conducted countless workshops and presentations to athletic training groups as well as high school coaches. Gary has been married to Joy Elaine (Albrecht) Ward since 1972 and they have 2 children, Jeffery and Karen. Since returning from Texas, Pat has given relentlessly to MAATA and the state of Missouri professionally. At the state level Pat has served on the Governmental Affairs and Reimbursement Committees and also President of MoATA. He is a member of the Missouri State High School Activities Association Sports Medicine Advisory Committee. He is the Chairperson of the State Board of Healing Arts Athletic Trainers Advisory Committee Clinically he was the first athletic trainer in the United States to receive reimbursement for services rendered by an insurance company. He has played a vital part in providing quality health care to the local high schools and state sponsored events in Mid-Missouri. At the district level he has served as Chair of the Governmental Affairs, Ethics, Reimbursement, committees and also as Vice-President of the MAATA Board of Directors. At the National level Pat has served on several NATA committees including the Reimbursement Advisory Group, Governmental Affairs, Ethics and the Committee on Reimbursement. He was on taskforces on Reimbursement, National Office Relocation. In 1997 Pat was awarded the Athletic Trainer of the Year Award by MoATA and was inducted into the MoATA Hall of Fame in 2008. He is married to Laura (Neuner) Forbis and has a son James Forbis. He is a member of the Knights of Columbus, and numerous civic organizations. Terry received his Bachelors degree from Loras College and a Masters degree from Eastern Kentucky University. He began his professional career as the Athletic Trainer at Waterloo Columbus High School in 1981, moving to neighboring University of Northern Iowa in 1983 and serving as Assistant and Head Athletic Trainer, a position he held for 14 years. In 1999 Terry moved to become the Director of Sports Medicine at Oklahoma State University. 2007 saw Terry return back to Iowa to become the Executive Director of the Human Sport and Performance Programs at UNI. 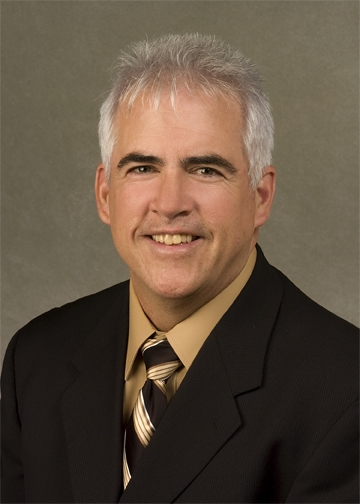 In 2010 Terry became the Director of Athletic Training Services at the University of Iowa. Terry has spent his entire professional career giving back to his profession. He has served as President of the Iowa Athletic Trainers Society, MAATA Newsletter Editor, MAATA President and most recently as MAATA District Director where he served six years on the NATA Board of Directors. At the National level Terry has been Chair of the Billing Task force for the College and University Athletic Trainers Committee of the NATA. While serving on the NATA Board of Directors Terry was Chair of the NATA Finance Committee, Treasurer of the NATA, and was also a 2012 candidate for NATA President. Terry has proven to be an outstanding leader in our district, but more importantly an exceptional ambassador for the advancement of the Athletic Training profession. His integrity, ethics, capacity for work, and vision are unsurpassed by others in the Athletic Training profession. Terry is a 2006 inductee to the Iowa Athletic Trainers’ Society’s Hall of Honor and will receive the NATA Most Distinguished Athletic Trainer Award at the NATA Symposium this summer in St. Louis. His family includes his wife Jeralyn and son Casey. Denise has spent her entire professional career serving District 5. After graduating from St. Cloud State University, Denise went on to get her Masters and become the Assistant Athletic Trainer at the University of Nebraska-Omaha. In 1985 she became the Head Athletic Trainer at UNO, a position that she held for 12 years. As Head Athletic Trainer at UNO, Denise was instrumental in developing an Athletic Training program that placed an unwavering focus on both the student-athlete and the athletic training student. 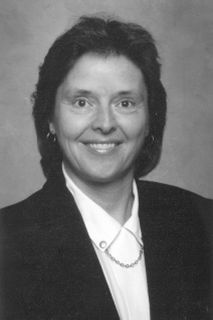 During her years at UNO she served professionally as President of the Nebraska State Athletic Trainers’ Association and also served on the NATA Board of Certification and as President of the BOC. In 1997 Denise became the Executive Director of the Board of Certification. Perhaps Denise’s greatest impact on the profession of athletic training is her years of service as Executive Director of the BOC. Under Denise’s leadership the BOC has become a highly respected organization that provides exemplary service to all athletic trainers throughout the country, while at the same time protecting the public by maintaining reliable and valid certification. Denise is presently a board member of the YMCA of Greater Omaha and she also has been chair of National Commission for Certifying Agencies. She has been the recipient of the Most Distinguished Athletic Trainer Award in 2005 from the NATA and also the George F. Sullivan Nebraska Athletic Trainer of the Year Award in 1991. Jeff has served the state of Oklahoma, District 5, and the NATA throughout his career as an athletic trainer. He received his Bachelors and Masters Degrees from the University of Central Oklahoma. After a short tenure at teaching for the Deer Creek Public Schools he returned to UCO in 1980 where he has been ever since. At UCO he has held several positions including Head Athletic Trainer, Assistant and Associate Athletic Director, and Program Director of the Graduate Athletic Training Education program, a position that he currently holds. One of Jeff’s greatest accomplishments at UCO is the development of the only Graduate Athletic Training program in the state and one of only 21 nationwide. Jeff’s services to his profession within his state include, Oklahoma Athletic Trainers Association Secretary/Treasurer, Vice-President and President working hard on legislative issues within the state. He is also the Chair of the Oklahoma Board of Medical Licensure and Supervision. Presently, Jeff is the Chair of the MAATA Governmental Affairs Committee serving on the NATA Governmental Affairs Council. Jeff enjoys working on legislative issues that promote the profession at the state, district, and national level, participating in several “Hit the Hill” days in Oklahoma and Washington DC. Jeff has received his 25 year award from the NATA. In 2006, he was inducted into the Oklahoma Athletic Trainers Association Hall of Fame and was named Athletic Trainer of the Year in 1996 by the OATA. He will receive the Most Distinguished Athletic Trainer Award from the NATA in New Orleans. Bott began volunteering his service by accepting an appointment on the certification committee in 1980, a position he held until 1986. During the 1980’s, he was active at the state level, serving as legislative chair. Also during this time Bott served as KATS president and a MAATA board member from 1989 to 1990. In 1990, he was elected MAATA public relations director, 1993 as MAATA secretary-treasurer, 1996 as MAATA president, and 1999 as MAATA district director, serving on the NATA Board of Directors until 2005. Bott is a Licensed Athletic Trainer through the Kansas State Board of Healing Arts, a Certified Athletic Trainer through the Board of Certification, and a member of the National Athletic Trainers’ Association, Mid-America Athletic Trainers’ Association, and the Kansas Athletic Trainers’ Society. 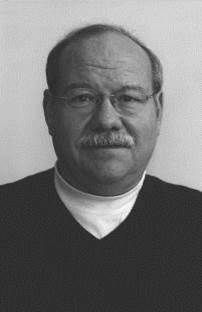 Bott was awarded the KATS Outstanding Service Award in January of 2000, Most Distinguished Athletic Trainer Award from the National Athletic Trainers’ Association in June of 2005, and was inducted in the Kansas Athletic Trainer’s Society Hall of Fame in March of 2006. 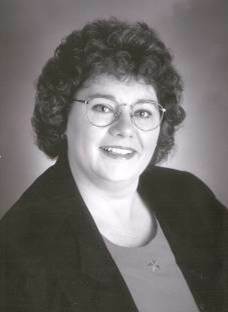 A native of Dighton, KS, Lynn Bott graduated from Emporia State University in 1975. He received his Master’s Degree in physical education specializing in athletic training from The University of Arizona in 1976. He and wife, Debbie, married now 34 years, have resided in Lawrence, KS for 32 years. Lynn and Debbie are the proud parents of two children, Mindi and Jason. Mindi currently resides in Manhattan, KS with her husband Brian Kastning and their children Lilian and Nicholas. Jason currently resides in Lawrence, KS with his wife, Heather. For the past 35 years, Anton J. Martinez has dedicated his life to the profession of athletic training. A tour in Vietnam was completed before Martinez attended the University of Nebraska-Omaha. Upon graduation in 1973, he became the first high school certified athletic trainer/teacher in the state of Nebraska. He served in this capacity for 23 years. Now, at Rotella’s Italian Bakery and as a consultant for Flex Physical Therapy and Sports Medicine in Council Bluffs, Iowa, he continues to use his athletic training background in an industrial setting. Martinez has helped administer the BOC National Athletic Trainer’s exam for the past 30 years as a model, examiner, and a room captain. At the district level, he served on the program committee board for the Mid-America Athletic Trainers’ Association Annual District Meeting and Symposium for five years, twice as the chair. He also served on the registration committee for ten years. In addition, Martinez helped create the first student athletic trainer programs and social events in his district. Regionally, Martinez has promoted athletic training by working for Junior Olympic events, The Pan American Games, Golden Gloves Boxing, The College World Series, the Big 8 Volleyball Tournaments, and the Nebraska State High School Championships since 1974. The George F. Sullivan Athletic Trainer of the Year Award for the State of Nebraska was awarded to Martinez in 1995. Another honor Martinez received was being declared an American Vietnam War Hero, by President Ronald Reagan, in 1985. Through it all, his devoted wife Patricia has been by his side and together they have raised four wonderful children, namely Christian, Tara, Melissa and Jason. Randy Biggerstaff has contributed to the profession of Athletic Training at the state, district and national levels over the past 33 years. He has served on the Honors and Awards Committee for Missouri, as the Treasurer for the Mid-America Athletic Trainers’ Association, and as the representative from District 5 to the NATA for the Clinical/Industrial/Corporate (CIC) Committee, a committee which he helped found. Throughout his career, he has been involved in a variety of settings including high school, professional sports, clinic, and business owner as well as his current position as Head Athletic Trainer and Athletic Training Program Director for Lindenwood University. Early in his career, he was instrumental in bringing care to under served high school and adult athletes in the St. Louis area. Through education and persistence the need for athletic trainers in the area schools became clear and most high schools in the St. Louis area now benefit from the services of a certified athletic trainer. In recommending Randy for induction, Wade Welton, MS, ATC wrote “ As impressive as his resume is I am most impressed by his leadership and his devotion to the Athletic Training profession while maintaining a priority of faith, family, and work with everything he accomplishes.” Randy has received the NATA Most Distinguished Athletic Trainer Award and the NATA Service Award. In addition, he is a member of the Missouri Sports Hall of Fame and the Missouri Sports Medicine Hall of Fame. David “DC” Colt has served the Athletic Training profession admirably for the past 30 years. At the district level, he has served the Mid-America Athletic Trainers’ Association as the Public Relations Officer, Secretary/Treasurer, and the District Director. He has also served on the Board of Directors for the NATA, the NATA Research and Education Foundation Board of Directors, and the Board of Certification. He chaired the original Written Simulation Development Committee and was instrumental in writing the original Simulation examination. He has also co-chaired the task-force to develop the Council on Employment and currently chairs the Foundation Project Grant Committee. After completing his Master’s degree at Northwest Missouri State in 1978, he began his career as an Assistant Athletic Trainer at Temple University in Philadelphia, Pennsylvania. Three years later, he returned to Northwest Missouri State where he has worked for 26 years and is currently the Head Athletic Trainer and Assistant Professor. DC is also a man of family and faith and a devoted husband and father. He has been very active with his church, serving in many capacities from usher to choir member to Sunday school teacher to volunteering with the church mission group. David received the NATA Most Distinguished Athletic Trainer Award in 2004, the NATA Division II Athletic Trainer of the Year Award in 2006, and the Dan Libera Service Award from NATA-BOC in 2004. He has also received the Alumni Association Special Recognition Award from Northwest Missouri State and has been selected twice as the Athletic Trainer of the Year by the Missouri Athletic Trainers’ Association. Further, he has been inducted into the Missouri Athletic Trainers’ Association’s Sports Medicine Hall of Fame and the Missouri Sports Hall of Fame. Dr. Kathie Courtney is a pioneer in the field of athletic training. She was one of the first few women certified in athletic training at the national level and was the first female certified athletic trainer in the state of South Dakota. 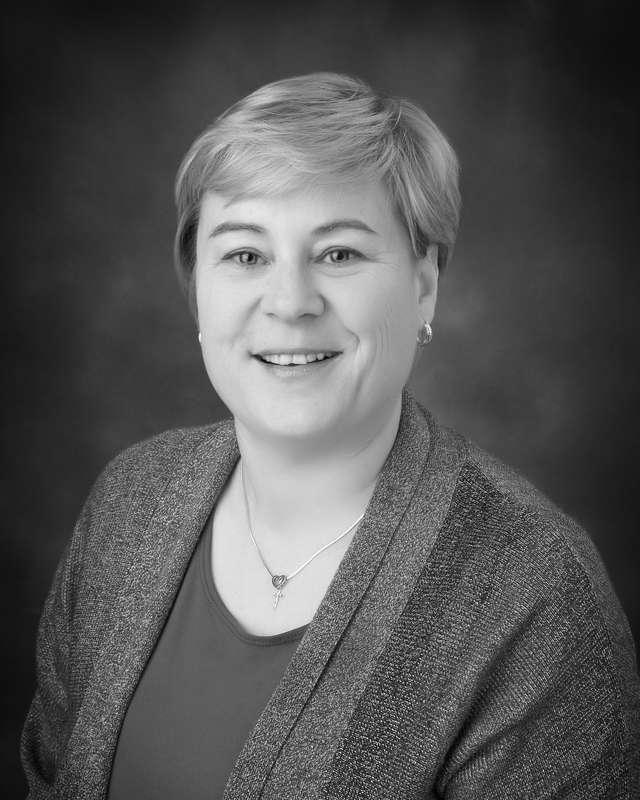 She has been instrumental in the development of the profession through her involvement in the South Dakota Athletic Trainers Association, having served in every office of that organization. She has served on numerous district and national committees. She has served as an excellent role model and liaison for women entering the profession of Athletic Training. 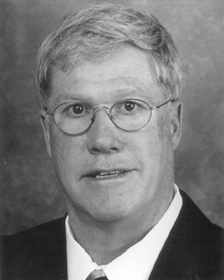 Ed Crowley spent 31 years as the Director of Athletic Training Services and Head Football Athletic Trainer at the University of Iowa. Crowley joined the Iowa Athletic Department staff in 1973 after serving one-year stints as the assistant athletic trainer at Purdue (1972-72) and Iowa (1971-72), and two years (1969-71) at West Point Military Academy, where he worked with Bobby Knight. Crowley in 1997 received the Most Distinguished Athletic Trainer Award for major contributions to the National Athletic Training Association. Ed has been a long-time member of the American Physical Therapists Association. He was the honor and awards director for the District Five Mid-America Athletic Trainers Association. He was chairman of the National Athletic Trainers’ Association Licensure Committee from 1982-89. He has served as review editor for the Journal of Orthopaedic Sports Physical Therapy, Spine Magazine and the Journal of Athletic Training. Ed is presently the chair of the National Hall of Fame Committee. Crowley earned all-state honors in 1963 as a running back at Marian Central (Woodstock, IL) High School. He lettered at Purdue and was a member of the 1967 Rose Bowl Champions, where he developed a long-lasting friendship with teammate Bob Griese. The Boilers beat Southern Cal 14-13 in the school’s only Rose Bowl appearance. Crowley earned a B.S. degree from Purdue in 1967 and his physical therapy degree from Iowa in 1968. Crowley was born August 9, 1944 in Chicago. He and his wife, Lois, have two daughters, Amie and Marie. Craig Holz is a native Nebraskan born in North Platte. He graduated from the University of Nebraska-Kearney with his Bachelor’s of Art and received his Master’s of Science in Athletic Training from Central Missouri State University. For the past 27 years he has served as a physiology teacher/athletic trainer at Millard South High School in Omaha, Nebraska. Craig was one of the founding fathers on the Nebraska State Athletic Trainers Association in 1980. He has served as President, Secretary-Treasurer and has been on various other committees through o ut the years. He has been very active within the Mid-America Athletic Trainers’ Association where he has served as chairman of the exhibit committee for the districts annual convention, chairman of the spring symposium committee and a presenter at the National convention in Kansas City. He is the recipient of the George Sullivan Athletic Trainer of the Year (1998), 25-year service award (NATA) and Who’s Who Among American Teachers several times. He has worked numerous Olympic events all across the world. He is a member of the NATA since 1973, National Education Association since 1976. Craig’s proudest professional accomplishment has been his student athletic trainer program and the many student athletic trainers who have been in the program and gone on to a variety of health careers. His greatest source of pride is Julia his wife, daughter Kara and son Andy. Jerry Weber a native Nebraskan from Sidney received his Bachelor’s of Science from the University of Nebraska-Lincoln. He earned his Physical Therapy degree from the University of Nebraska Medical Center in Omaha and a Master’s of Science from Western Illinios. He has been an instructor and Athletic Trainer/Physical Therapist at the University of Nebraska Lincoln since 1977 ranging from instructor to Associate Director of Athletic Medicine. He helped in establishing the athletic training licensure for the state of Nebraska. Weber is a member of the NCAA Committee on Competitive Safeguards and Medical Aspects of Sport and is the NCAA liaison to the National Athletic Trainers Association’s College/University Athletic Trainers Committee. He has been a very active member within the district serving in various appointments for 13 years with 3 of those years as District President and on the NATA Board of Directors. In the fall of 2001, the Nebraska Football Hall of Fame honored Weber when he received the Lyle Bremser Special Merit Award. He is a 25 year award recipient (NATA), George Sullivan Athletic Trainer of the Year (1990, NSATA), and 20 year service award (NSATA). Dr. Fair has been in the profession of Athletic Training since 1966 when he began his student athletic trainer experiences. During these years he has been highly active in the service area to the National Athletic Trainers’ Association (NATA). 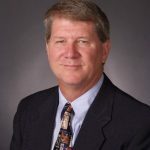 He is a 25-year award Recipient, Most Distinguished Athletic Trainer award winner in 1994, Liaison for the NATA, and served on the Journal committee for 10 years. A large portion of his career to date was spent at Oklahoma State University where he was instrumental in getting the Oklahoma Licensure Law passed. He has patented several inventions that assist in injury prevention in the “Cowboy Collar”. His greatest accomplishment is his long time relationship with his wife and family of two sons who are officers in the United States Army. 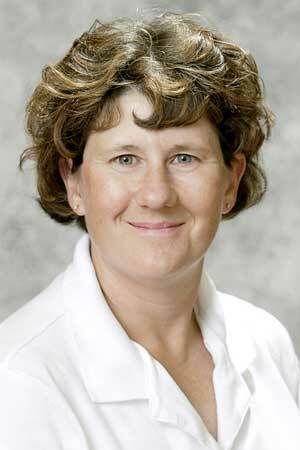 Kathy English has administered the athletic training program at the University of Nebraska at Kearney since 1981. English received her undergraduate education from Southeast Community College (1976), and Kearney State College (1979), and her Masters Degree from Eastern Illinois University (1980). She then returned to Kearney, Nebraska and the University of Nebraska at Kearney. 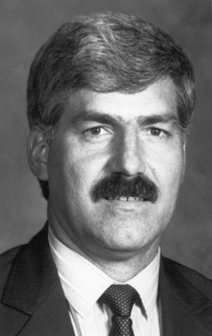 From 1981-93, English served as the Head Athletic Trainer and a Lecturer. English was responsible for providing athletic training services for 16 NCAA 11 sports, administered the athletic training program, and served as a faculty member. English presently serves as the Director of Athletic Training Services, and is a lecturer within the Department of Health, Physical Education, Recreation and Leisure Studies. English is an active member in the National Athletic Trainers’ Association, Mid-America Athletic Trainers’ Association, and is a charter member of the Nebraska State Athletic Trainers’ Association. She is also a member of the Board of Examiners: Athletic Training; State of Nebraska Department of Health, a member of Kappa Delta Pi Education Honorary, and Phi Eta Sigma National Honorary. In 1989, English received the George Sullivan Athletic Trainer of the Year Award presented by the NSATA. She served as Chair of the MAATA College/University Student Athletic Trainer Committee from 1989-93. Keith Fitzpatrick has been providing care to high school athletes for over 40 years. Fitzpatrick attended Trinity High School in Sioux City, Iowa, then attended college at Morningside College and finished at the University of Iowa. Fitzpatrick started his athletic training career with the Sioux City Soos from 1950-53. 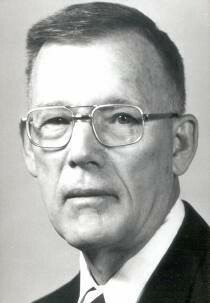 Fitzpatrick then served as a physical therapist in Omaha, Nebraska and Mitchell, South Dakota from 1954-93. Beginning in 1957, Fitzpatrick also served as athletic trainer for Notre Dame High School. In 1970, he became the Head Athletic Trainer at Mitchell High School in Mitchell, South Dakota, continuing until 1992. Today he still works as an athletic trainer for Mitchell High School and a therapist for Avera St. Benedict Healthcare Center in Parkston, SD. Fitzpatrick is a very active man, serving as a consultant to the athletic training program at Dakota Wesleyan University and as a clinical instructor for Cramer workshops over the years. Fitzpatrick has also been very active in the South Dakota Athletic Trainers Association. 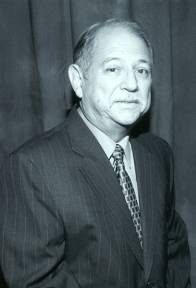 Fitzpatrick is a charter member, and served as Vice President from 1977-81 and President from 1982-85. During that time he helped co-chair the Athletic Trainers Bylaw and Legislative Committee. 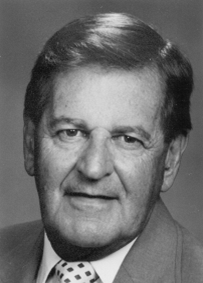 Fitzpatrick was also a charter member of the South Dakota Physical Therapy Association and served as Vice President (1966-67) and President (1968-70). Fitzpatrick is an active member in the American College of Sports Medicine, the Mitchell High School Quarterback Club, Dakota Wesleyan University Teammakers, and Holy Family Catholic Church. He has been active in the American Legion, the Veterans of Foreign Wars since 1948, and with the Boy Scouts, as a Troop Leader from 1960-1977. From 1974-1986, Dan earned and enjoyed several national championships while serving as Wrestling Team Athletic Trainer. He has authored chapters in a variety of modern sports medicine texts and published journal articles dealing with athletic training education, quality control, weight loss in wrestlers, and wound care in sports. From 1980 to 1990 Dan served the MAATA on the District Program Committee for several years, chairing it twice, and served on the Executive Committee from 1992 to1994. 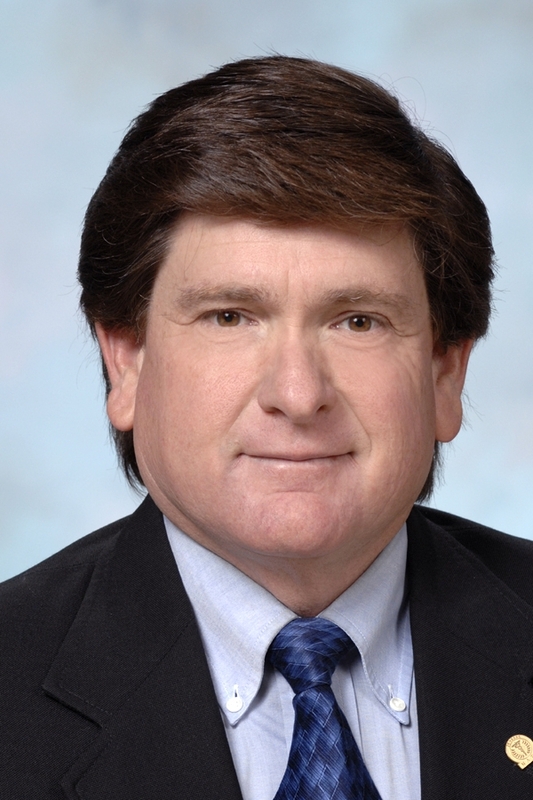 From 1990 to present he has held active membership on the Joint Review Committee for the Occupation of Athletic Training (JRC-AT), a CAAHEP Committee, with specific focus on self-study review material and on-site visitation activities. Dan currently is Vice-chairman of the Iowa Licensing Board of Athletic Training. Clint Thompson has been a great contributor to the Athletic Training Profession in many aspects. It all started in Lubbock, Texas April 1, 1938. Clint graduated from Ysleta High School in 1956. He graduated from the University of Texas with a Bachelor of Science degree in 1963. Clint became an Assistant Athletic Trainer at Michigan State University in 1964. He worked as an assistant and completed his Master of Arts degree while doing so from 1967 to 1969. Clint became interested in the NATA journal and in 1970 became editor for the journal. A position which he still holds today. Clint decided to branch out and was employed at Colorado State University from 1970 to 1973. After his experience at Colorado State, he returned to East Lansing where he became the coordinator of Athletic Training at Michigan State University. From 1973-1985 he was instrumental in developing a fine athletic training program at Michigan State as well as authoring many articles in the NATA journals. In 1985, to the present, Clint has been the Head Athletic Trainer/Instructor at Truman State University. He carries with him to Kirksville, MO many years of experience and membership in the NATA. He has traveled extensively to Australia promoting athletic training through many published works and lecturing. Clint has received the NATA service award for contributions made to the NATA and the Michigan Athletic Trainers Association Hall of Fame. Wayne Wagner has served the field of Athletic Training as a teacher and athletic trainer for the past 41 years. He has published articles in the NATA Journal and served as site administrator and proctor for the NATABOC for the past 10 years Wayne started at Omaha University upon his discharge from the Army Air Corp. He was a student in the college of education and played on the football team. He was injured his sophomore year and the team physician recognized his work ethic and encouraged him to stay on as their athletic trainer as there was no staff athletic trainer at the university at the time. Upon graduation from Omaha University in 1955, Wayne stayed at the university for one year until he accepted a job at Westside High School (Omaha) as a teacher/athletic trainer. In 1957 he joined the NATA and stayed at Westside High School until 1967. Wayne returned to Omaha University as an assistant professor/athletic trainer. In 1968 he went to Indiana University to receive his Master’s degree in Health and Safety with a Major in Athletic Training. Wayne then moved back to Omaha to attend the Nebraska University of Omaha (formally called Omaha University) until 1985. Wayne found himself next at Creighton University for five years until 1990 when he was given an opportunity to set up the Sports Medicine Program of his dreams at Methodist Hospital in Omaha. Wayne stayed full-time with Methodist until his retirement in 1995. “Doc” has provided many years of service to athletes, coaches and students in Central Missouri. Ron began his career as an Athletic Trainer, Teacher, and Coach in Quincy, MI. He then continued his career in Madison, Indiana as an English Teacher; Tennis. Assistant Wrestling, and Assistant Football Coach; and Athletic Trainer. In 1965 Ron moved to Taylor University in Upland, Indiana where he also coached, taught, and was the Athletic Trainer. Ron then settled in Warrensburg, Missouri in 1969. During his tenure as Athletic Trainer at Central Missouri State University Ron has also been a Professor of Physical Education. He has shared his knowledge through workshops, publications, lectures, and the classroom with many successful students, area coaches, athletes and his peers. He assisted in writing, lobbying, and eventual passage of the MO state legislation for Athletic Trainers. He serves on the MSHSAA Sports Medicine Advisory Board. In 1983-85 Ron was the President of the Missouri Athletic Trainers’ Assoc. In 1988 he was inducted into the Missouri Sports Medicine Hall of Fame. In 1994 he was inducted into the Missouri Sports Hall of Fame. Jim received his Bachelor’s Degree from Nebraska Wesleyan, his PT Degree from the Mayo Clinic, his MA in HPER at SDSU, and his PHD at the University of Utah. He began his career as an Athletic Trainer at SDSU where he has been instrumental in establishing the Athletic Training Major. Jim served as the District 5 Secretary/ Treasurer and then as District 5 Director 1990-1993. He has been as active publisher of articles and textbooks. Jim was a charter member of the SDATA as well as serving as the group’s first President. He was a key figure in the development of the SD licensure law and the regulation of Athletic Trainers in the state. Jim has been a leader in the American Heart Association, the South Dakota Emergency Medical Technicians Association, the South Dakota Association of HPERD, and the Brookings CPR Committee. Jim was chosen by his peers to be inducted into the SDATA Hall of Fame in 1990 and he received the NATA Most Distinguished Athletic Trainer Award in 1994. “Izzy” is professor of Physical Education and Athletic Training at North Dakota State University. Izzy received his bachelor’s Degree from Adams State College in 1963, Master’s Degree from NDSU in 1965, and Doctorate from the University of Utah in 1975. Izzy served as the District 5 Secretary/Treasurer from 1981-1984 and as the District 5 Director from 1984-1987. He has also served on the Board of Directors for the ND Special Olympics (1986-90) and as the President of the North Dakota Association of HPERD (1988-89). Izzy was selected as a Preferred Professor by the Mortar Board National Honor Society in 1986, 1987, and 1989. He was inducted into the North Central Conference Hall of Fame in 1988 and received the Special Recognition Award from the ND High School Coaches Association in 1992. “Floogie” has provided many years of service to the NATA and the profession of Athletic Trainers. He began his career as a Student Athletic Trainer at Wofford College. He then became Head Athletic Trainer at Wofford. He took special Physio- Therapy training at Eastern Medical Aids in New York. He then worked as an Athletic Trainer at Gardner Webb College, and Wake Forest University before moving to Iowa State University. He served as the District 5 Exhibits Chairman from 1959-1972. “Floogie” is thought to be a great entertainer, and therefore, has been popular as a lecturer and promoter in the field of athletic training methods to coaches, physicians, and athletic trainers. After leaving ISU Warren worked as an Athletic Trainer with Indiana University, the New Orleans Saints, and the Houston Oilers. He was inducted into the NATA Hall of Fame in 1977. He also has been selected as the Knute Rochne Trainer of the Year, inducted into the Louisiana Athletic Trainers Hall of Fame, and the Wofford Athletic Hall of Fame. “Duke” began his athletic training career at Michigan State University following a career as coach and biology teacher. He earned a degree in Physical Therapy and then joined “Pinky” Newell at Purdue. Next, he became the Head Athletic Trainer at Western Illinois University. While in District 4 he served as an officer for 8 years. Duke has served as an athletic trainer in many National and International events. In 1978, Duke joined the staff at the University of Nebraska. In 1990 he was inducted into the N.A.T.A. Hall of Fame and in 1992 received the George F. Sullivan Athletic Trainer of the Year Award in Nebraska. “Kickapoo” began his career at the University of Kansas as a football player. In 1930 he became an Assistant Coach and the university’s Athletic Trainer. He worked in this position for 22 years. After leaving Kansas, he worked at West Point Military Academy, Pittsburgh University, and with the Boston Red Sox. He has invented and manufactured over 2 dozen athletic products and co-authored a textbook. He was inducted into the NATA Hall of Fame in 1971. He also has been awarded a medal by the American Institute of Fine Art. Al has served as the Head Athletic Trainer at Pittsburgh State University in Kansas since 1955. He has, throughout the years, served at numerous National and International events including the World University Games, Olympics, Girl’s Cup, USA Olympic Sports Festival, Pan American Games, and with AAU National Teams. Al was named the District 10 “Baseball Coach of the Year” in 1965. He was inducted into the NAIA Hall of Fame in 1985, The N.A.T.A. Hall of Fame in 1992, and the Pittsburgh State Hall of Fame. “Frank” began his career in Athletic Training at New Mexico State in 1962. He also served at New Mexico Military Academy and Idaho University prior to beginning his career at Iowa State University in 1970. During his career at ISU Frank has been an impetus in the growth and development of the MAATA. He has served as a District 5 Officer, on many committees, and also as historian. Frank has added to our profession through his publications, presentations, and research. He was instrumental in the passing of The Athletic Trainer’s Act in Iowa. In 1991, Frank was inducted into the N.A.T.A. Hall of Fame. “Jack” Began his career as an Athletic Trainer for the Bremerton Bluejackets Baseball Western International League and the Olympic Junior College in Washington in 1948. In 1950, he became the Assistant Athletic Trainer for the University of Kansas. In 1969, he became the Head Athletic Trainer for the St. Louis Cardinals. In 1974, he joined the Southern California WFL. He was President and co-founder of the PFATS, an NATA Executive Secretary, and on the U.S. Olympic Selection. Jack, as an Athletic Trainer has traveled to Russia, Holland, West Germany, China, Yugoslavia, and Hungary. In 1977, he was inducted into the N.A.T.A. Hall of Fame. Wayne began his career as an Athletic Trainer at Waite High School in Toledo, Ohio in 1943. He then moved on to Southern Methodist University. He was a founding member of the SWATA, a National Director for District 6 and served as Head Athletic Trainer with the Dallas Texans (A.P.L.). In 1963, he became the Head Athletic Trainer for the Kansas City Chiefs and served there for 21 years. He was a founding member of the PFATS. In 1974, he was inducted into the N.A.T.A. Hall of Fame, in 1975, the Bowling Green State University Hall of Fame, in 1984, the Missouri Athletic Trainers’ Assoc. Hall of Fame, and 1986, the SWATA Hall of Fame. George began his career as a Student Athletic Trainer at the University of Nebraska in 1949. In 1953, he became Physical Therapist/Athletic Trainer at the University of Nebraska. In 1977, he was named as the Head Athletic Trainer, a position which he still holds today. Throughout his career he has served at 33 Nebraska Bowl Games, and several National and International events. George has served on numerous committees and Boards, offered numerous presentations and publications, and worked to establish licensure in the state of Nebraska. He was inducted into the NATA Hall of Fame in 1978, The Husker Track and Field Hall of Fame in 1993, and received the M.E. Sacksteder Award for Contributions to Physical Therapy and Education in the state of Nebraska in 1984. 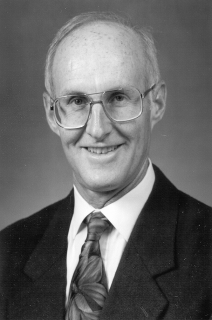 Fred began his Athletic Training career as an assistant at the University of Missouri in 1955. In 1958 he was appointed the Head Athletic Trainer. During his tenure at Mizzou, Fred has served at 11 post-season Bowl games. Fred has served the NATA as District Director and National Convention Chairman of the Clinical Program. He has offered many presentations and publications to advance our profession. In Missouri he was a sponsor of the Governmental Review Committee and influential in the passing of legislation for Athletic Trainers in the state. He was inducted into the NATA Hall of Fame in 1986, Missouri Hall of Fame in 1984, and recognized as Trainer of the Year by the Rockne Foundation in 1961. Byron began his association with athletics as a football player at Oklahoma State University. He then enlisted in the Marines where he served as an officer with distinction, lost his leg to artillery fire, and was highly decorated for his service. He then returned to athletics and served as an Athletic Trainer for the Los Angeles Dons for one year. 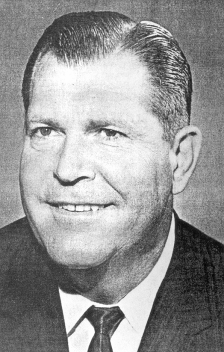 In 1950, Byron returned to Oklahoma State as Assistant Athletic Trainer. In 1961, he was appointed Head Athletic Trainer and served OSU athletes until his death in 1983. He was inducted into the NATA Hall of Fame in 1979. 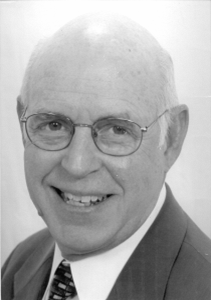 Chuck Cramer was the founder and a Board member of Cramer Products, Inc. As a sporting goods industry pioneer he developed the concept of athletic injury care. Cramer was a founder of the National Sporting Goods Association and the National Athletic Trainers’ Association. At the 1932 Olympic Games in Los Angeles, Chuck, his brother Frank, and three other Athletic Trainers were the first athletic trainers to serve at the Olympics. Cramer is a member of the National Sorting Goods Association Hall of Fame and was inducted into the Helms (now the NATA) Hall of Fame in 1962. In 1929, Frank Cramer joined the recently founded Cramer Chemical Company. He served as President of this company for 25 years. His enthusiastic promotion of the sporting goods industry resulted in his induction to the Sporting Goods Dealers Hall of Fame in 1956. He served on the Medical Committee of the U.S. Olympics for 16 years. He also published many articles and lectured on Athletic Training throughout the world. He is a member of the NAIA Hall of Fame and, in 1962, was inducted into the Helms (now the NATA) Hall of Fame. “Doc Ollie”, as the athletes knew him,began his career as an athletic trainer with the Penn State Nittany Lions in 1912.Later, he moved to Pittsburgh and then on to Washington University in St. Louis. In 1935, “Doc Ollie” joined the University of Missouri where he cared for, educated, and inspired athletes for 25 years. During his career, Ollie readied athletes for nine bowl games. He was inducted into the NATA Hall of Fame in 1962. 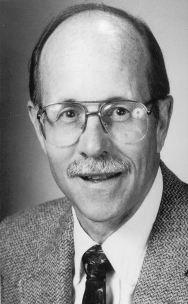 Art Dickenson served as the Head Track and Field Coach at the University of Northern Iowa for 35 years. He was a noted authority on training techniques throughout the country. 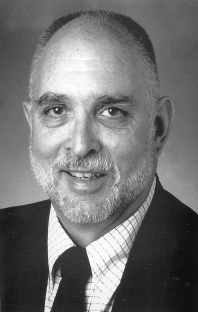 Art also was an Associate Professor of Physical Education, authored several publications, held offices in the National Athletic Trainers’ Association, the Faculty Men’s Club, and many other organizations. In 1965, he was inducted into the Helms (now the NATA) Hall of Fame. “Little Doc” began his athletic training career in 1910, at Oklahoma City Central High School, volunteering for his high school track team. He studied at a school of Physiotherapy in Kansas City and Ball Clinic at Excelsior, MO. In the 1930’s he managed the health club at Oklahoma City YMCA. In 1942, he became Athletic Trainer at the Naval Air Station in Norman, OK. In 1946, “Little Doc” began his career at Oklahoma State University. “Little Doc” retired from OSU in 1962 but, was often found in the training room serving as “Trainer Emeritus” after this. He was inducted into the NATA Hall of Fame in 1967. Bruce Melin received his Bachelor’s Degree (1944) and Master’s Degree (1948) from the University if Minnesota. In 1949, he joined the Washington University Bears staff as a Faculty member and Athletic Trainer. He retired from Washington University in 1977, having served for 28 years. After his retirement, he continued working as Athletic Trainer and Professor Emeritus. In 1974 Melin was inducted into the Greater St. Louis Athletic Trainers’ Association Hall of Fame. 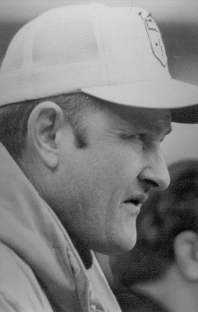 In 1984, he was inducted into the Missouri Athletic Trainers’ Association Hall of Fame. In 1986, he received the Washington University Interfraternity Council Performance in Teaching Award for superior teaching. In 1980, he was inducted into the NATA Hall of Fame. “Porky”, as he was known to athletes and friends, began his career as an athletic trainer as a freshman in high school at East Moline, Illinois High School in 1935. He enrolled at St. Ambrose College in Davenport, Iowa and served as Student Athletic Trainer. He then went to The Citadel as Head Athletic Trainer before joining the Army. In 1946, he returned to St. Ambrose until 1951 when he joined the Athletic Training staff at Kansas State University. He served as Athletic Trainer at KSU for 24 years. He was inducted into the NATA Hall of Fame in 1974. “Deaner”, as he was affectionately known by the KU Athletes, began his career with the University of Kansas Athletic Department as a freshman football player in 1933. Following three years at tackle for KU, he played for the New York Yankees (football) team in 1936. In 1937, he returned to KU to finish his degree and work as a Student Athletic Trainer. In 1938, Nesmith was appointed the Head Athletic Trainer and served the position for 46 years. He was inducted into the Helms (now the NATA) Hall of Fame in 1971. Ken began his career in athletic training as a student at the University of Illinois. He held his first Head Athletic Trainer position at William and Mary College then, moved on to Lafayette College. In 1953, Ken became the Head Athletic Trainer at the University of Oklahoma where he served until 1979. In 1960, Ken worked with the U.S. Olympic Team in Rome, Italy. He published many articles and, authored Modern Athletic Training. He was selected Rockne Club Trainer of the Year in 1959 he was inducted into the NATA Hall of Fame in 1968. “Schnitz”, as he was known to Nebraska Cornhusker fans, earned his Bachelor of Science Degree from the University of Nebraska following World War II. “Schnitz” served on the University of Nebraska Athletic Training Staff for 33 years. He served as Assistant Athletic Trainer from 1948-1952. In 1952, he became the Head Athletic Trainer and served until 1977. From 1977-1981 he served as Administrative Assistant to the Athletic Director. Schneider helped found the National Athletic Trainers’ Association in which he served as Secretary-Treasurer and as member of the Board of Directors. In 1977 he received the KFOR Sportsman of the Year Award and in 1978 he received the Nebraska Hall of Fame Merit Award. He was inducted into the NATA Hall of Fame in 1985.